Graphene has made it possible to link biology directly with electronics for the first time, bringing an entire world of new capabilities. 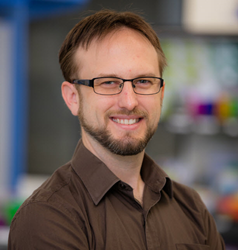 Dr. Brett Goldsmith from Nanomedical Diagnostics, a biotech company driving the use of graphene biosensor assays in life science research and diagnostics, will present a session called “Graphene: Uniting Biology and Electronics” at the Graphene World Summit on September 19 and 20. Dr. Goldsmith’s talk focuses on the benefits AGILE technology brings to the drug discovery process over current methods. In developing pharmaceutical therapeutics, researchers need to understand the interaction between target proteins and prospective drug compounds. However, current magnetic or optical technologies such as nuclear magnetic resonance (NMR) spectroscopy and surface plasmon resonance (SPR) are difficult to use and slow down the drug discovery process. All-electronic AGILE technology unites biological interactions with the speed and high throughput of electronics, providing measurement and detection capabilities beyond NMR and SPR, at greater speed and lower cost. Nanomedical Diagnostics (“Nanomed”) is a biotech company based in San Diego, CA. Nanomed has developed a breakthrough all-electronic assay that provides real-time, label-free kinetic binding and concentration data. The AGILE biosensor chips at the heart of the assay leverage graphene, a highly sensitive nanomaterial, to link biology directly with electronics for the first time, delivering the unique ability to sense small molecules with no lower size limit in complex media such as DMSO, and use unprecedentedly small amounts of sample.